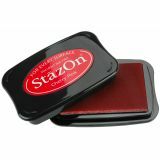 StazOn Solvent Ink Pad - TSUKINEKO-Staz-On Ink Pad. 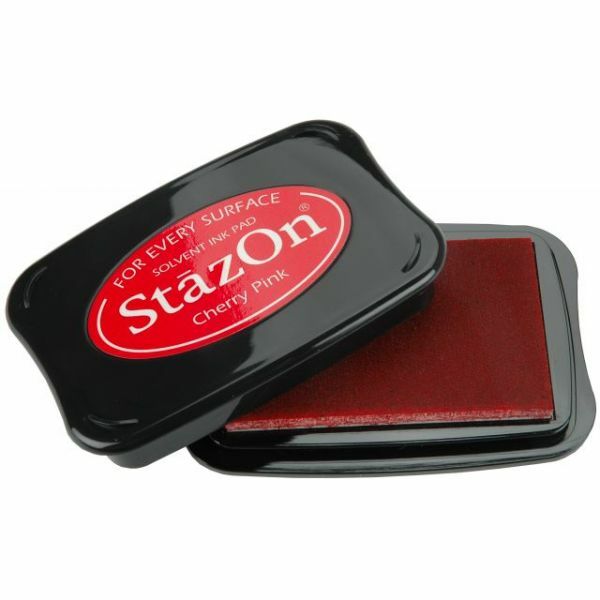 Staz-on is a solvent-based ink designed for decoration on non-porous surfaces such as glass, metal, shrink plastic, cellophane, aluminum foil, leather and acrylic. You will achieve a beautiful stained glass appearance due to the transparent nature of the ink. Mild smell and safe to use. Acid-free and water soluble for easy clean up. Refill your ink pad or use it straight from the bottle. Stamp pad measures 2-1/2x4x3/4in. Imported.